This panel dress has a casual yet elegant look. The semifitted midi-length dress has a bateau neckline, three-quarter-length sleeves with a dropped shoulder seam, and a left-side zippered hemline slit from thigh to hem. Princess seams originate at the shoulders and subtly curve between the waistline and thigh. 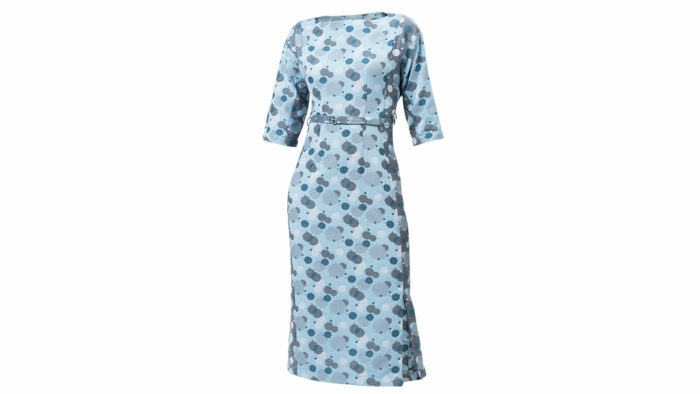 The dress has a side zipper closure and a narrow self-fabric belt with eyelets and a buckle. 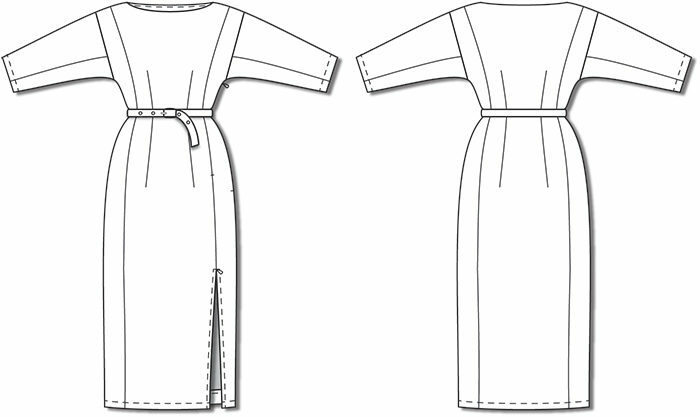 Our tester recommends making a muslin to check the fit and placement of the curved seamlines on the body. This design is ideal for medium-weight woven fabrics such as wool crepe, linen, piqué, chambray, and lightweight denim. Style Tip: Emphasize the vertical seams with piping.